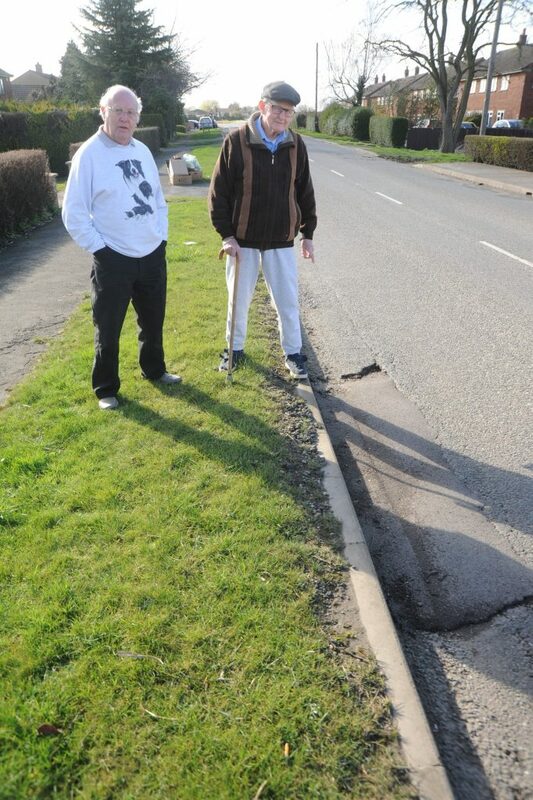 Jekils Bank residents Colin Hunter and John Hodgkins point out the attempted pot hole fix. A botched attempted pothole fix has led to flooding and homes shaking when lorries go past, neighbours have claimed. 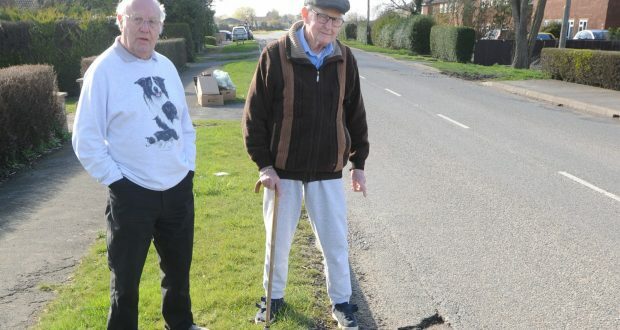 Those who have lived for years on Jekil’s Bank in Holbeach St Johns told The Voice they’d never known large vehicles to shake houses until the attempt to cover a pothole was made last month. 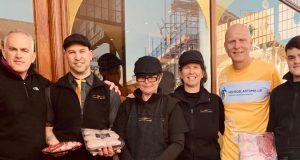 Residents on both sides of the road also say flooding has occurred where it hadn’t before, including in Colin Hunter’s kitchen. Flooding in a nearby front garden. 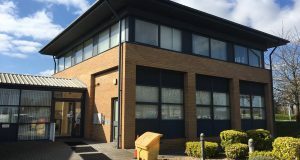 A spokesman for Lincolnshire County Council said: “We’ve checked the repair that was carried out on Jekil’s Bank, and it didn’t meet our standards. 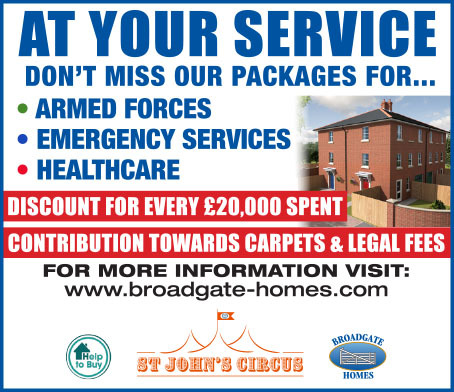 “As a result, we’ve contacted the contractor and they will be carrying out some remedial works in the near future. 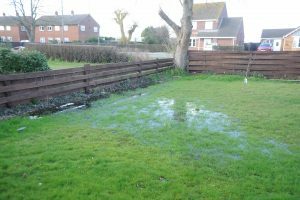 “We don’t believe the drainage issues residents are experiencing to be an effect of our road repairs, so we’d recommend they check their land drainage systems and possibly contact Anglian Water, who can check for water main leaks.